An inspiration from a fashion blogger The Chriselle Factor. 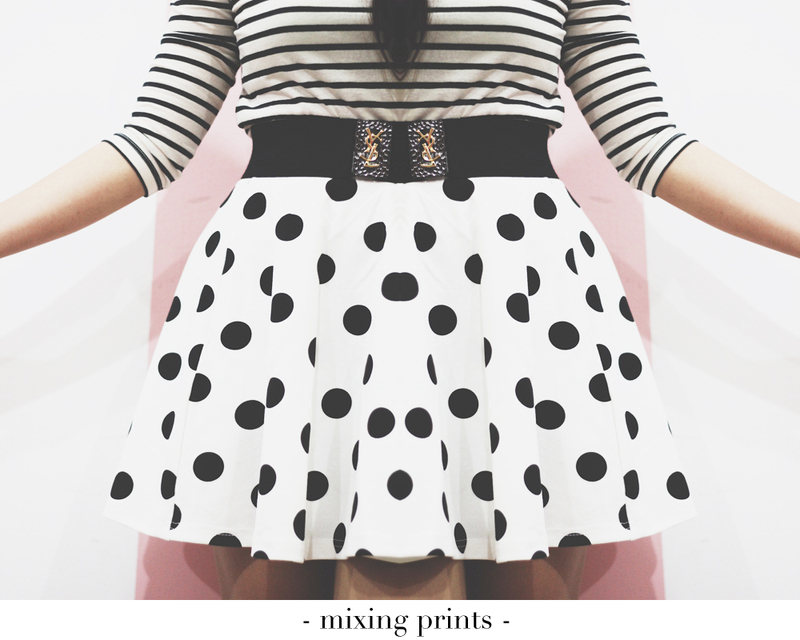 I would have never thought that mixing prints could be so fun. I've learnt that the key to mixing prints is that the different prints should compliment each other in one way or another. So for example, if you're going stripes and polka dots, pick out the ones with common hues, so you won't look like a mess. 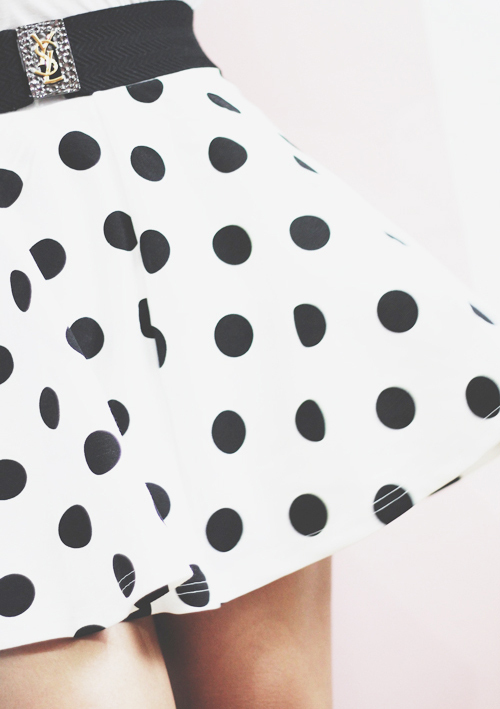 My top was more of off white rather than white, so I guess when the two prints come together it didn't turn out bad. Let me just say, this is one of my "boldest" dressing in a long time. I'm very dull in dressing, and by that I mean, if I were to wear a blue blazer I would match it with blue shorts and sometimes, I would pair it with a blue clutch and blue shoes. Totally feeling like a Smurfette. Okay, I was just kidding, I wouldn't go to the extent of being blue all over. But my point is, I really like sticking to basics and colorblocking is just not my style (because I'm afraid of looking like a mess).